The brochure is available in Danish, German and English. The brochure is available in Danish and German. 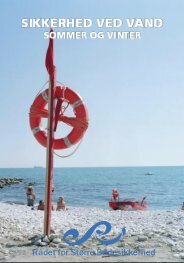 The Council for Greater Water Safety has, together with the National Police, prepared a brochure that informs about the new beach numbering system, introduced on beaches and other watersides in Denmark from 2011 till 2013. The german version is available only as a PDF. The Danish version is available both as a PDF and as a printed version. Magnus and the OceanA picture book about swimming safety. The book is available in Danish only. This picture book is about Magnus. He is a good swimmer, and his father is a lifeguard in a public swimming pool. During the family’s stay in their weekend cottage, Magnus’ father teaches the family about safe bathing. 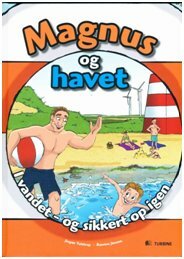 Magnus is there when his father prevents a drowning accident, and thus learns to respect the sea.The book is well written and beautifully illustrated with coloured cartoon like drawings in an easily read comic book style. The drawings illustrate the book’s points about water safety. 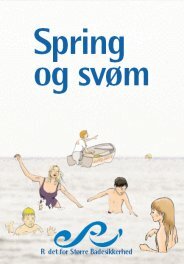 The last pages of the book contain a section for parents and adults about water safety and The Danish Council for Greater Water Safety.The book can be ordered through The Danish Council for Greater Water Safety by phone +45 70275555, or by email info@badesikkerhed.dk. 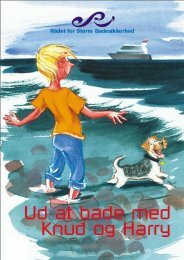 The picture book is available in Danish only.